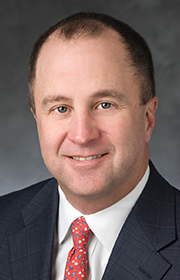 Lance Gilliland – Tudor, Pickering, Holt & Co.
Lance Gilliland serves as a Managing Director in Investment Banking. Gilliland was previously chief financial officer with Endeavour International Corporation. Before that, Gilliland was a vice president with Goldman Sachs in the investment banking services and mergers and acquisitions departments in Houston, New York and Menlo Park. Gilliland led execution of merger and acquisition assignments including buy side, sell side, hostile takeovers, raid defense, proxy contests and special committee engagements. Gilliland holds a BA in Finance and Economics from Baylor University and an MBA from University of Texas (Austin). Gilliland is a CFA Charterholder.